Southern Sands Design owner and operator, Roman Foster, first opened the doors to his unique store in November 2017. Combining the best of where he has lived and worked, many of his pieces are custom made. 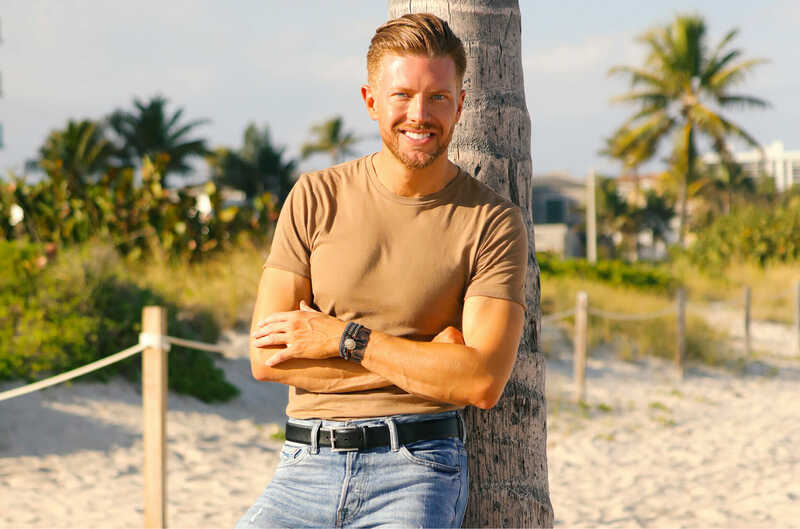 Growing up in the foothills of the Appalachian Mountains and now living in South Florida, he wanted to bring a design style that he describes as mountains meet sea. 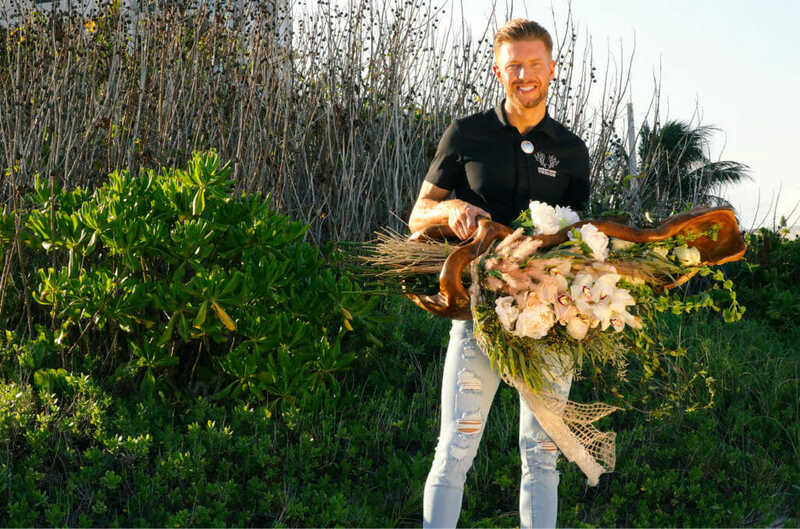 Foster is also a floral designer for events and weddings and honed his craft while working at private membership clubs in North Carolina and Florida. Southern Sands Design provides individuals and designers an option to find unique accent pieces that will work with any home. This is the first business Foster has ever owned, and he is most excited about the freedom owning your own business provides. 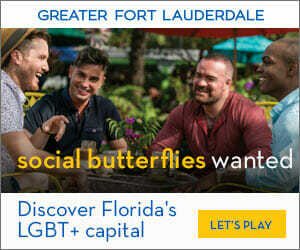 Southern Sands is located within Island City Plaza at 1436 NE 26th Street in Wilton Manors. I spoke more with Foster about the business and his passion for design and décor. Thank you so much for taking the time to chat with me, Roman. Can you tell me more about Southern Sands Design? Southern Sands is a concept store located in Wilton Manors featuring unique interiors and floral design. The décor is authentically crafted and nature inspired. We offer one-of-a-kind art and décor, as well as expert personalized floral design for weddings, events, homes, and businesses. We specialize in getting to know our clients and assisting them in creating a vision for their home or event that reflects their individuality and encourages their happiness within their space. How did you get the idea/concept for the business? With the majority of today’s décor being streamlined from large factories, I wanted to create a design store that would break from the mold and seek to feature unique creations from craftsman and artists like myself. I derive the essence of my look from my Appalachian Mountain roots, my appreciation for nature, and my longtime love for coastal life. Natural materials and motifs are at the heart of my decorating style. Hardwoods, native foliage, fauna-inspired materials, and earthy palettes are utilized to create one-of-a-kind pieces that function to provide the home with a tranquil escape from hectic modern-day urban life. Has this business been a long-time dream of yours? Having my own showroom and design studio has long been in the works. A dream that came to fruition with a great deal of foresight, hard work, and an immense amount of creativity. Owning your own business is no easy task. However, Southern Sands has opened a whole new world of opportunity, allowing me to explore my own personal style and develop exclusive designs. Have you always had a passion for this type of work? Even as a child, I looked forward to decorating for Christmas, Halloween, or any event that required a little extra pizzazz. Growing up, I loved creating and crafting with my father who taught industrial arts. In high school, I was involved with the prom committee and I obsessed over every detail from linens, to flowers, to the perfect theme song. Unlike other hobbies and interests that came and went, decorating/designing is a true passion that always came with ease. It was something that didn’t require a lot of thought. It is simply in my nature. What did you do before opening Southern Sands Design? I have a unique, diverse background within the design industry that provides me with a one-of-a-kind perspective. I received a BA in English from UNC Chapel Hill and a Masters in English from Western Carolina University. My background in language arts inspired me to utilize floral/interior design to create spaces and pieces that tell a story. When selecting items on buying trips or creating in my studio, I gravitate towards “conversation pieces.” I have worked as a photographer, managed a flora studio, served as a decorator for country clubs, and most recently prior to opening Southern Sands, I was Director of Member Events at Tower Club in Fort Lauderdale. What are some goals and accomplishments you would like to see Southern Sands achieve? South Florida homes are often decorated in a sleek, clean contemporary style. Although visually beautiful, without a touch of warmth many such homes risk coming across as cold or uninviting. Southern Sands has the potential to become South Florida’s go-to-destination for one-of-a-kind pieces that provide character and the perfect contrast within a modern space. From the beginning, Southern Sands has sought to give back to the community and contribute to its culture. We have partnered with several of the community’s not-for-profits for event décor/fundraisers. We also host a bi-monthly complimentary local artist showcase and reception. 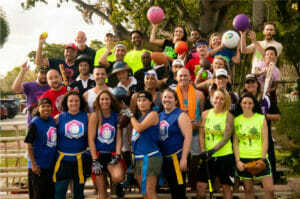 As business grows, we hope to continue to give back and enrich the community that supports us. How would you say Southern Sands is unique and stands out from other similar businesses? Our desire to get to know our clients and provide custom tailored service is a big part of what makes us so special. Also, because we specialize in handcrafted unique pieces, Southern Sands cannot help but stand out from other design stores. My father, Larry Foster, uses timber from our land in the mountains of North Carolina to make the beautifully crafted live-edge tables sold in the store. I use natural driftwood to make lamps, sconces, and sculptures. Our all-natural soaps and candles are handcrafted utilizing pure essential oils along with organic or wild herbs. I also source from talented local and international artists whose creative designs mesh with our style. In addition, we salvage and repurpose vintage industrial pieces. These exclusive showroom offerings combined with our expert floral design studio makes Southern Sands a unique destination within the design world. Do you think Southern Sands has been beneficial to the South Florida community? 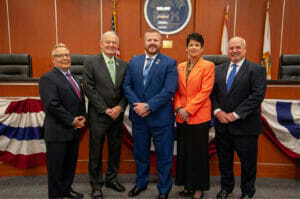 It is my hope that the South Florida community continues to show us the love and support that they did in our inaugural year of business. I anticipate that more and more people will discover our showroom and incorporate these special pieces within their homes. Our décor creations, flora design studio, and community involvement have the potential to make a positive impact in South Florida for years to come! It sounds like Southern Sands has been received well by the community so far. What is the number one thing you will do to make sure Southern Sands continues to be a success? Southern Sands is committed to providing service that exceeds expectation. I know our product is creative, authentic, and unique. A great product combined with excellent client driven service will ensure we continue to succeed in our endeavors. Although you are still relatively new, do you have any plans to eventually expand the business? Many people who come into Southern Sands comment on its calming “Zen” nature. We give superior attention and care to each customer. Maintaining and improving on our friendly small business qualities are my main priority. At least for the near future, our expansions will come in the form of more diverse selections from artists we represent. A larger, more equipped design studio is also in the works! 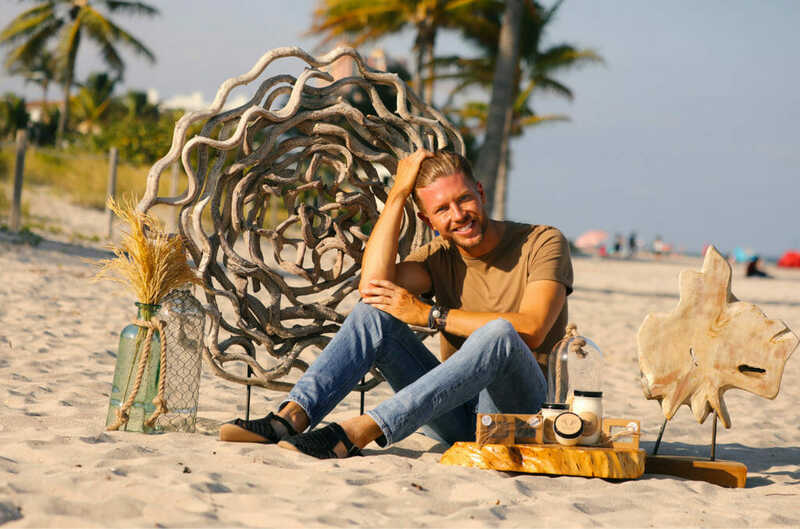 To see the unique style and pieces of Southern Sands Design, visit Roman in person at 1436 NE 26th Street, Wilton Manors, FL 33305. Or call (954) 500-7263 or www.SouthernSandsDesign.com online.